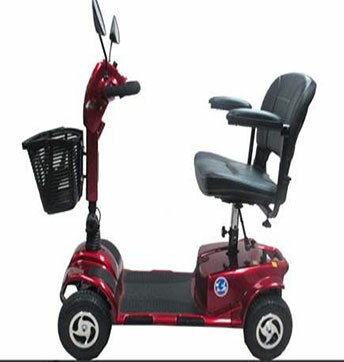 •	Scooter or battery cart for everyday use for people with reduced mobility who cannot stay for long periods or move long distances. •	Easy to use and intelligent brake that activates when decelerating. •	Comfortable seat with 360 degree rotation and adaptable for people of all sizes. •	Endures a wide variety of driving conditions.